As the weather has begun to warm up my attention has turned to sorting out the garden and making it child friendly for summer. We don't have a massive garden and space is quite limited but I still want it to be a place where both children can play safely when they please and so I started looking for garden toys! We already have a wave slide and some miniature football goals for James but I wanted something both James and Evelyn could play with together. That's when I found Wickey, they have some very impressive wooden climbing frames that look like so much fun however they are much to large for our garden and Evelyn especially is still a little to young for a climbing frame. 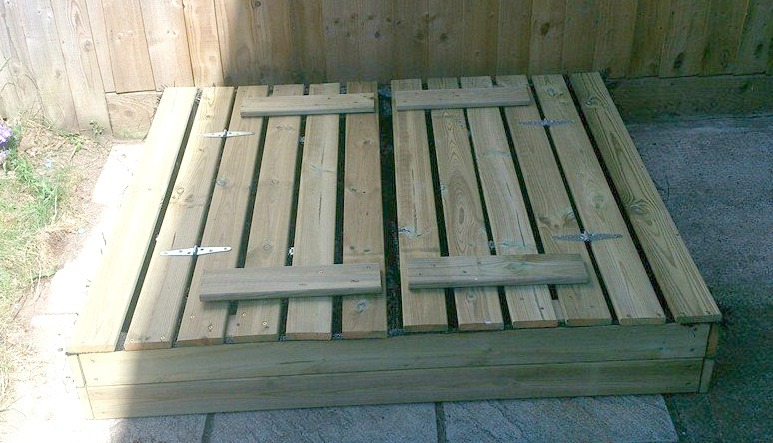 However Wickey also sell these beautifully made solid wood sandpits perfect for what we needed! Wickey very kindly sent us one of their 'Flip' sandpits to try out and I have to say we are all really impressed. 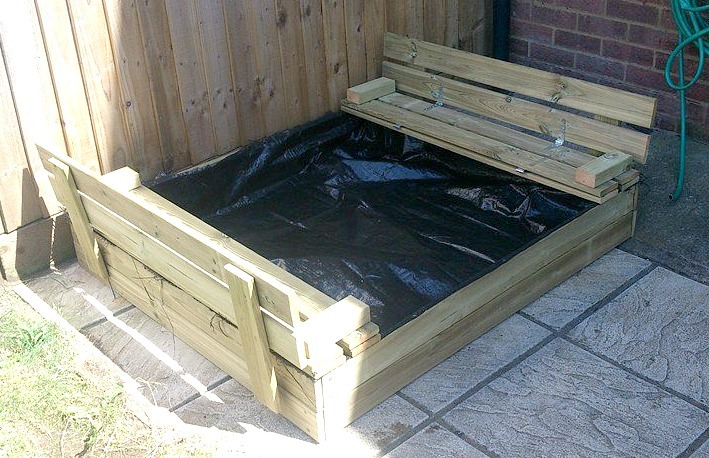 The 'Flip' sandpit comes in two sizes either 110cmx125cm or 120cmx125cm, we received the smaller version which fit in with our garden well, as well as this we received the safe sand foil to ensure no bugs or roots got in to our sandpit from underneath. We would later realise this is essential as the sandpit itself has no bottom! One of the great features of the 'Flip' sandpit is that not only is it made from strong, sturdy and treated wood the lid of the sandpit also folds up to create 2 small benches, one either side of the sandpit perfect for little bums to perch whilst playing. 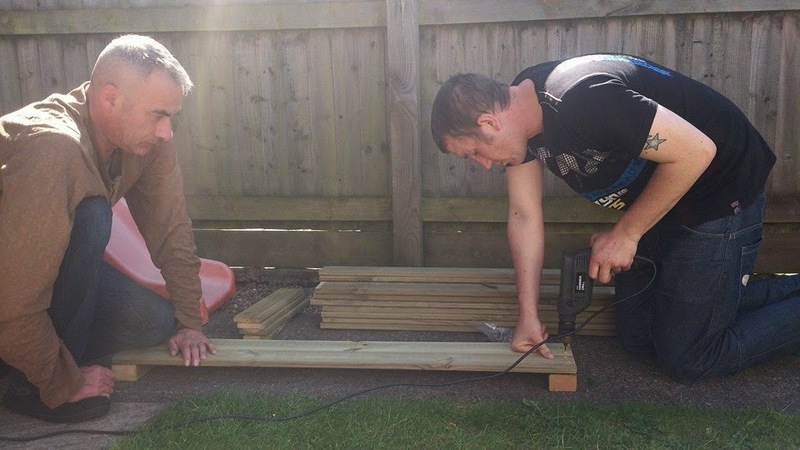 The 'Flip' sandpit comes flat packed and needs to be assembled from almost from scratch. 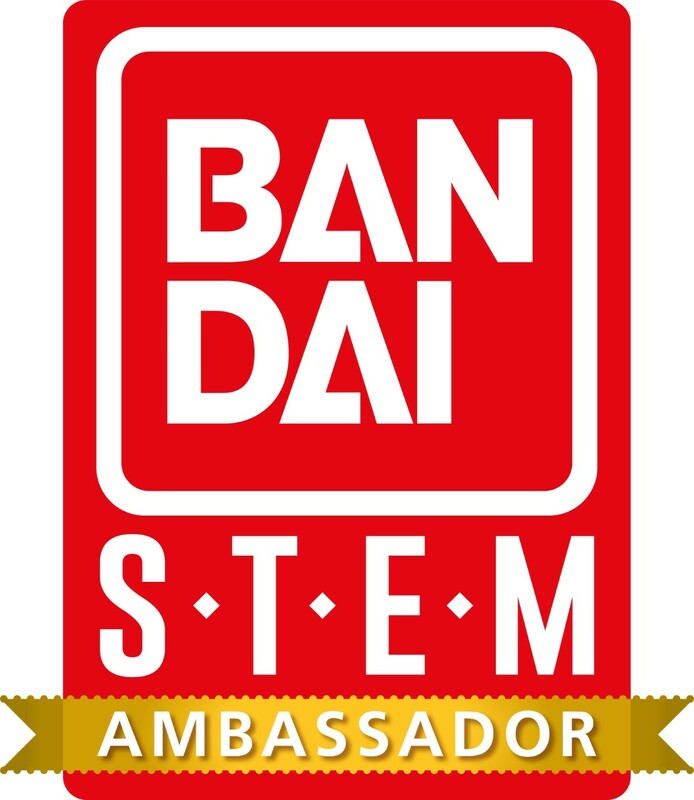 This does require at least two people to built, the instructions are pretty clear and easy to follow although I would always suggest a quick read through before starting anything as some of the instructions and measurements are quite precise. The sandpit took around 2 hours to build with 2 people building it. You will require a drill to construct the sandpit as you need to drill pilot holes yourself which we were a little surprised at and it did mean it took a little longer to build the sandpit. 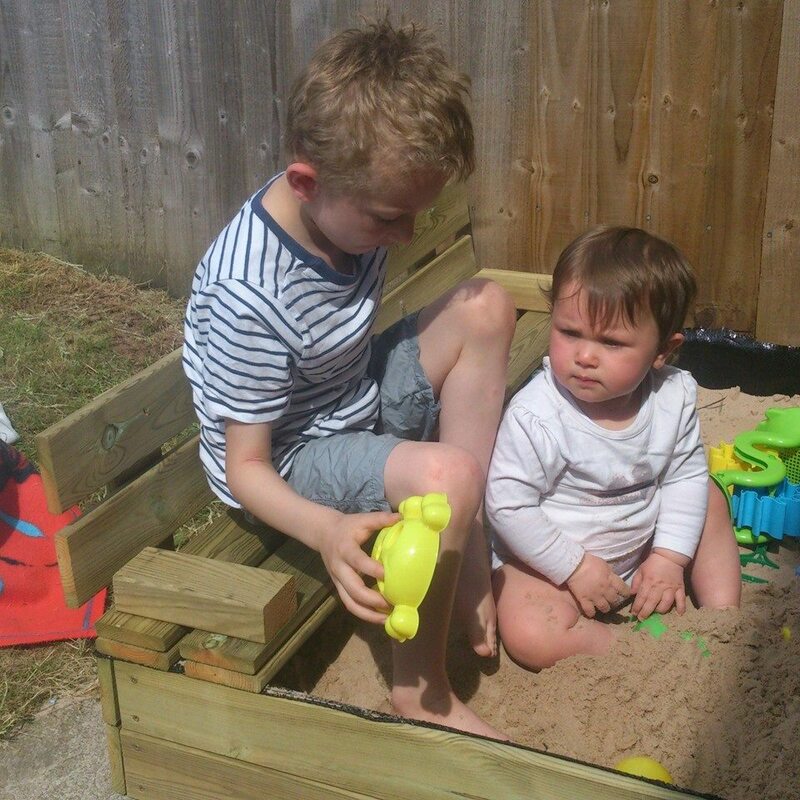 The 'Flip' sandpit has been a huge hit with both James and Evelyn! They have thoroughly enjoyed building sandcastle's and shapes in the sand. The benches provided a comfy place for both of them to sit and dip their toys in the sand or for a bit of a rest with an ice lolly after all that building. The sandpit took approx 10 15kg bags of sand to fill to a reasonable level which provided more than enough sand to build with. 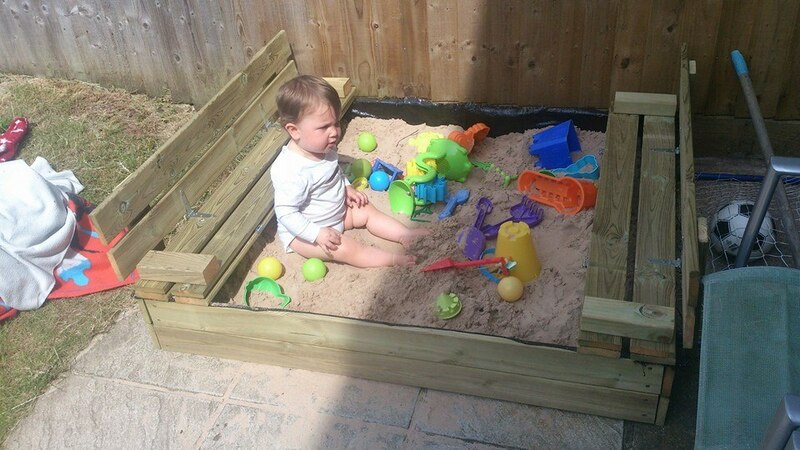 The sandpit feels like it is build to last and is composed of green KDI impregnated treated wood meaning it requires no extra coats of paint or varnish and is build to with stand even the toughest of weather conditions. I did find that the slats in the top cover of the sandpit still had small gaps in and therefore the sandpit did require a waterproof sheet on top to keep the sand completely dry. Over all we were thoroughly impressed with the flip sandpit. Despite some niggly issues such as the pilot holes needing to be drilled yourself and the top being a little gappy we all think the sandpit is a great addition to our garden. It definitely has already provided hours of entertainment for the children (especially as Evelyn's birthday party!) and it certainly feels built to last! Fancy sprucing up your garden for summer? 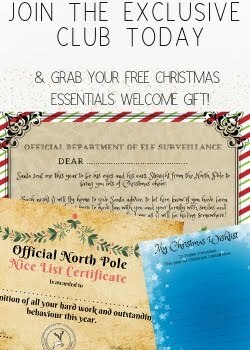 Why not check out some of the high quality garden items such as swing sets, slides and play houses as well as the items mentioned above from Wickey via their website here - www.wickey.com. What is your child's favourite garden toy/ item? It looks like an amazing toy - how perfect for summer!